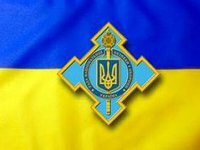 The anti-terrorist operation (ATO) forces have seized two BMD-2 airborne fighting vehicles of the Pskov Airborne Division (Russia) in a battle near Luhansk, Ukrainian National Security and Defense Council (NSDC) information and analytical center spokesman Andriy Lysenko has said. He said at a briefing on Thursday that documents found in the vehicles confirmed that they belonged to the said division, and a tablet discovered there helped identify the platoon commander as a Russian military officer. A number of media outlets earlier reported the seizure of the Russian airborne unit's fighting vehicles.